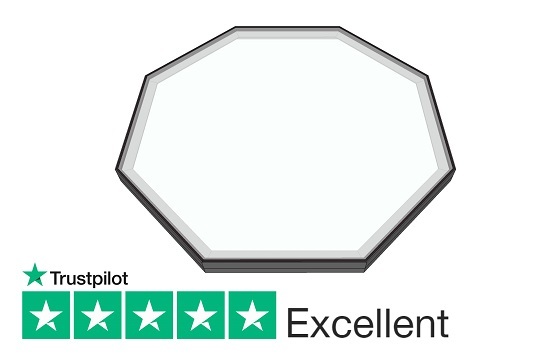 Our contemporary styled fixed octagonal rooflight incorporate structural silicone glazing techniques ensuring a complete, factory finished, high quality product. Fully watertight with a high quality, flush glazed and elegant appearance. Our fixed rooflights incorporate fully enclosed double glazed units to eliminate risk of breakage. Traditional stepped edge glass rooflights have a significantly higher vunerability to breakage due to their exposed edges. 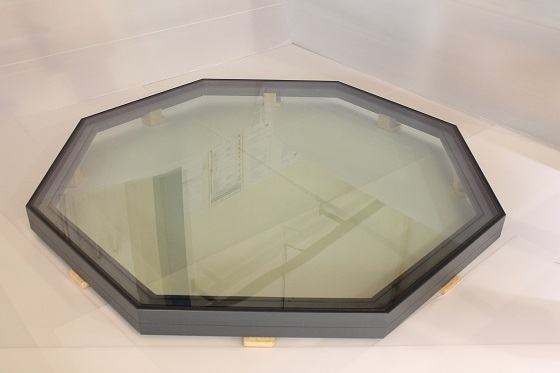 Duplus fixed shaped rooflights are double glazed in clear toughened and HEATSOAKED safety glass as standard. If required we offer blue, bronze or grey tinting or if preferred, an obscure finish for privacy or high performance solar control to minimise solar gain (heat) (g) and maximise light transmittance (Lt). 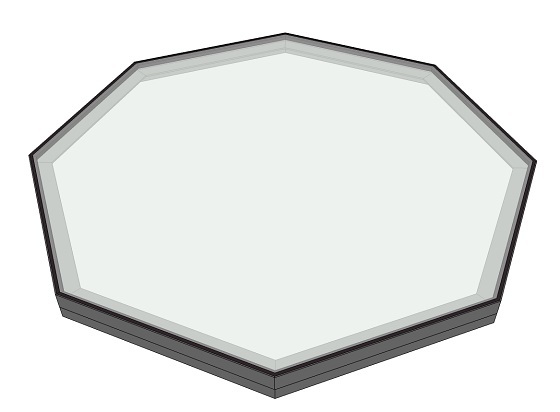 We can offer a variety of bespoke shaped fixed rooflights. Please call us on 0116 2610710 with your requirements and we’ll be happy to assist.